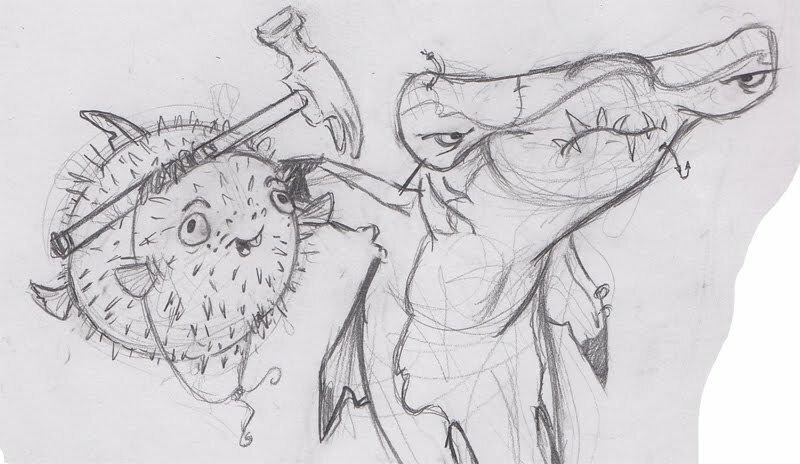 Sketchy Observations: SHARKWEEK 01: HAMMER TIME! My favorite yearly tradition is back! 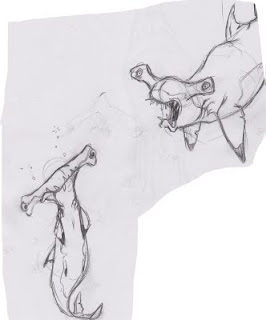 It's SHARK WEEK and so begins a week of shark drawing....started by CalArts' very own shark-wrangler, Kristen Campbell. Loads of fun and I encourage ya'll to join in. Head on over to this here blog for all the artwork your own pair of "dolls' eyes" can possibly feast on. 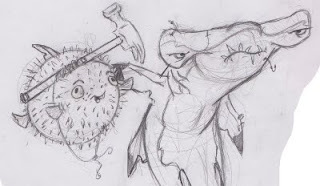 Stanley the not-so-hammerheaded shark (puffer fish). His older "brother" never did enjoy family portrait time. 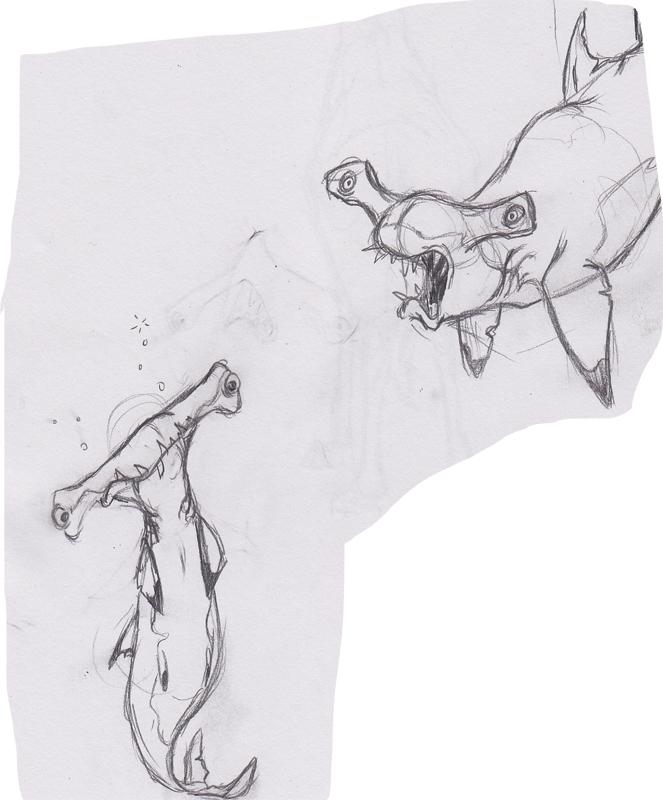 Bonus Hammerheads...drawn while waiting for programs to reboot, or for renders to come back. Anytime is a good time for drawin' sharks!